England's lone 'proper' release, Garden Shed, is not only a progressive masterpiece, but one of the all-time great Mellotron Albums. Released in late 1977, when punk ruled the waves, its release couldn't have been more badly timed. A year or two later the furore had died down a little and it may have escaped, but as it was, it sank without trace and is now a £40-rated item. It opens with a clever multitracked MiniMoog part which fades into the rising Mellotron strings of Midnight Madness; Yes-like falsetto vocals, superb composition and intricate arrangements. Classic prog in a nutshell, basically. As mentioned in my UK '80s prog article, England sawed one of their old Mark IIs in half (!) and recased the right-hand manual for portability. As a result, this is one of the last albums to feature a Mark II exclusively until the Mellotron's resurgence two decades later. There is much Mark II brass to be heard on Garden Shed, although the violins reign supreme for most of the album. Apart from the faux-Queen piano ballad All Alone, the 'Tron is featured on every track. Three Piece Suite (ouch) includes one of those 'Mellotron moments' (think Genesis' Eleventh Earl Of Mar), and moody final track Poisoned Youth almost certainly influenced Pallas a few years later. The laid-back Yellow is all 'Tron strings (from guitarist Frank Holland, apparently) and picked guitar, and even the 'commercial' track, Paraffinalea (they really should've tried to curb their taste for puns) gets in a quick blast. Talking of puns, it wasn't until I was researching this article and I dug out the original LP that I got the album's chief pun: the sleeve is a spoof on the label on a jar of 'Golden Shred' marmalade. Ouch. Incidentally, the 2005 Garden Shed Music reissue includes the 1976 Olympic demo of Three Piece Suite, with most of the final version's 'Tron parts intact. 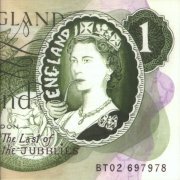 In 1996, an oddity appeared on Midlands reissue label Vinyl Tap (at least the band are keeping up their standard in puns); The Last of the Jubblies is a shortish collection of odds'n'sods, and while not up to the startlingly high standard of their debut, is well worth a listen. Mister Meener was the band's original Arista audition piece, and Nanogram is the long-lost b-side to the Paraffinalea 7". The other four tracks are 'work in progress' tapes for the second album sessions; of course, with low sales of Garden Shed, these were abandoned, and the band slowly drifted apart. There's plenty of excellent Mellotron work on Jubblies, although one of the album's best pieces, A One-Legged Day Tale features none whatsoever. England only played live a handful of times, both in their three- and four-piece incarnations, including a couple of gigs supporting the famously eccentric The Enid, so don't expect to find any lives tapes floating around... In the early '80s, a version of the band arose without keyboardist Robert Webb, and with the original drummer reinstated. They recorded two singles for Jet, but don't expect the same sound or quality as either of these albums. 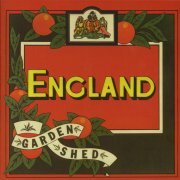 Almost thirty years on... Robert and original bassist Martin Henderson decided to give England another go, initially to be known as 'Garden Shed'. The chief problem here was the apathy of British audiences, many of whom (and I'm not talking young people here) seem to think that progressive rock began in the early '80s, oh, apart from Genesis, of course. And Yes. Grrr. Anyway, in 2005, the original pair recruited Steve Laffy on drums and Alex Johnson (ex-Nightwing) on guitar, plus Robert's partner Maggie Alexander on backing vox and keys and got a set rehearsed up. A showcase in front of thirty or so people (using my Mellotron) went well, followed by an appearance at the prestigious BajaProg festival. 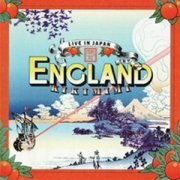 A few months later, Japan called, and England answered, the end result being a live album, Live in Japan: Kikimimi. Now, in one way, this shouldn't even be reviewed here. Although they were supplied with a decent analogue rig, the one obvious thing missing was a Mellotron; something to do with insurance, I believe (so how come Anekdoten had no problem?). However, during the 'make it listenable' overdubbing process back in Blighty (yes, everyone does it), Robert used the opportunity to overdub some real 'Tron, borrowing Lee Pomeroy's (Rick Wakeman, er, Take That), not least because Lee has the right tapeframe, with strings sat next to MkII brass. So, how does their complex material stand up in a live context, I hear you ask? Well, something is lost in translation, to be honest; the multi-layered sound of Garden Shed really needs two keyboard players to cover it live, especially as Robert also sings most of the tracks. Don't get me wrong; it's still excellent, but something's lacking, although there's an improvisational aspect to the music that is still rare in the progressive arena (listen to Poisoned Youth for proof). The bonus here comes with the two unreleased tracks that end the disc, after Paraffinalea's b-side, Nanogram. Despite knowing the band, I'm afraid I can't remember the source of Open Up, but it's an instrumental piece, effectively a vehicle for a drum solo. The Imperial Hotel, on the other hand, is a cut-down version of a 25-minute piece played live by the band in '76, and we can only hope that they opt to record the full version at some point. Is it as good as the album material? Probably not, but as a 'new' England piece, it's decidedly worth hearing. As for the overdubbed 'Tron work, some of the studio parts have survived, while others (the brass at the end of Paraffinalea) seem to've been added. Not all the familiar parts have the same impact as their studio versions, notably the massive crescendo in Three Piece Suite, but it's just good to hear this music being played at all; I mean, who would've thunk it? Sadly, after a relatively poorly-attended UK gig in Sheffield, despite the Classic Rock Society's best efforts, the band are on hiatus and I've no idea when or if they might work together again. Twenty years in the making, Robert's long-promised Box of Circles finally escaped his clutches in late 2017. Is it anything like Garden Shed? Short answer: no. Longer answer: no, because even the beginning of the process was two decades after that landmark and Robert's grown as an artist, as all good artists should. It's actually more comparable to his solo album from 2014 (in fact, two of these tracks were premiered there); admittedly, its material isn't drawn from a forty-year archive, but half that time is long enough to make for major stylistic disparities. So what do we actually get? 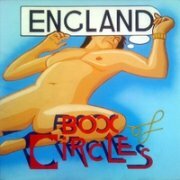 A (kind of) rock version of Orff's Carmina Burana, a prog/blues take on Dylan's Masters Of War, Kinks/Squeeze/Madness music hall stuff like God Must Be A Boogieman and Fags, Booze & Lottery, Jenny Darren reading poetry over Robert's music on Timelessness... Oh, and a handful of proggish numbers, not least Destiny, Hymn, Wheel Of Fortune and closer Fine Alley (ho ho). There are a handful of definite nods to England's early work, but usually only in an instrumental break here, or a chord sequence there. An album highlight is the vocal work; Robert's assembled a superb cast of singers, male and female, the choral work being especially notable. Somehow or other, he's also managed to get all four original band members on, even if only occasionally. Robert plays three different Mellotrons across five tracks, including my M400. Now, I remember him recording with it, although I thought it was for another project; my MiniMoog is also present and I don't even remember that being set up on the day... There it is on Fags, Booze & Lottery, though; so much for my memory. Most of the Mellotron work is one of Streetly's new M4000s, with bass flute (towards the end), bass clarinet and MkII brass on Destiny (some sounds more obvious than others), boys', 'Russian' and standard 8-voice choirs on God Must Be A Boogieman, pitchbent wildly at the end of the track, barely-audible cello on Fags, Booze & Lottery, strings (from an M400: mine or Lee Pomeroy's?) and cellos on It Couldn't Be You and 8-choir, MkII brass (amusingly, from one of the M400s) and church organ (barely) on Fine Alley. Robert lists a few other sounds, but I can't actually trace them in the detailed credits, or, indeed, hear them. I'm not going to lie and tell you you're getting Garden Shed mark II, but this is a fine, varied album, at least some of which definitely falls under the 'progressive' banner. The original drummer, Mark Ibbotson (an entrepreneurial type), happened to have one in the back of the band's 3-ton truck. It was in the truck because no-one dared try to move it. Mark said that he had bought it, very cheaply from Brian Jones's parents (yes, the Brian Jones) after his untimely death. But, Mark, I'm afraid, is prone to fantasising stories, and it's unlikely to have come from this source. But importantly, it was in great condition, and it wasn't long before we felt it was worth hauling it in and out of rehearsals. When Mark left England (leaving us for dead, in the middle of a showcase which eventually got us a record deal) I actually kept the Mellotron out of spite. It was this instrument (I think it was number 136) (Note: apparently it's actually #109) which I cut in half and which became the 'black melly'. I used to modify pretty much everything. The second roadie with England was a carpenter by trade and ... I suppose to give him something to do, I suggested we reduce the melly to as small a size, and as light as, possible. I used a multicore connector from Lisle Street (those were the days) and had the transformers boxed separately. I fitted an SMS2 (I think that's the number of the varispeed servo, isn't it?) and also got Mark Hunt to design and supply a transistor pre-amp. The black melly therefore had both valve and transistor pre-amps (the valve one sounded best) and a slide controller to slow the capstan to a pre-determined speed. (This featured on Garden Shed when the Mellotron Timpani roll is slowed down, and I then I switched the heads to violins at half-speed in the middle of Poisoned Youth). I think I learned a lot when I actually spliced in the Timpani/Choir/Strings set (from a 400) into 'bank 5' on the MkII roll. I made damn sure that every note triggered right on cue. The other half was virtually up and running (as I recall). I bought another nickel capstan and flywheel from Mellotronics [in Portland Place] since they had a room full of old MkII bits, and therefore I had enough to complete the other half (provided I used the transformer box from the black melly). At the time (1977-8) I was having all my stage keyboards fitted into 1" tubular square frames. We ran out of money, but I happened to come across a 70's style nightclub table which had lost its chipboard/formica top, but had an 1" tubular cube-like base which happened to be exactly the right size to put half a MkII in. I'm pretty sure I had it running, I even made a custom aluminium fascia for the controls. But of course the tapes were all left-hand (accompaniment ones). I've got no idea what happened to it. I had a 3-ton lorry full of stuff when I split England up. I sold the famous white Genesis MkII Mellotron in 1980 to someone who valued it. And I eventually sold the 7' long 24 into 8 into 4 mixing console we made, and a Hammond C3 (not my England one, which was a one-keyboard modification of an RT3, and went to a buyer in Germany). I reckon that if nobody had bought it during that particular selling spate, it would have just been thrown out. The latter seems quite likely, in view that I still have the keyboard which I obviously took off as a keepsake. I think I owned another MkII as well. I definitely went to see it and I remember telling people I had owned three Mellotrons, but of course, do two halves make two Mellotrons ...or one? Anyway, this third one was in a small recording studio along the Fulham Palace Road and the instrument was a brown MkII. According to the people selling it, it had come out of Island recording studios. They were frightened to switch it on and even more frightened to lift it!. If I did buy it, I don't know what happened to it. Playing Garden Shed live: Well basically, apart from Three Piece Suite, we never had to do it! After the management went sour, and the second management went sour, and we were on our third bass player, it seemed more fitting to just write some new material. Sounds ridiculous now. But prog rock was rapidly becoming old hat. Besides, it had been well over a year since we started recording the album, and we had moved into a different gear (as evident on the Jubblies recordings from Surrey Sound Studios.) None the less, we could and would have made a good job of playing Garden Shed live. With the exception of the piano, and the very rare extra keyboard part, the keyboard part was conceived to be played live by me alone. The backtracks were all recorded with the band playing live together (this gives it its great power), none of the keyboard parts were re-done. Spontaneous performance was our joy! As soon as we knew we had a good backtrack, I would immediately double track the Mellotron part - exactly as played but with a fractional change in the tuning (on the varispeed). The biggest problem for me would have been singing lead vocal at the same time - I actually reached a point where I feared the idea of having to perform Paraffinalea: one hand on each moog and singing lead vocal! I reckon that the confusion about the halfatron belonging to Genesis or King Crimson is likely to have originated with the England Mellotrons. The white MkII which most certainly was Genesis's (Tony Banks') first Mellotron, was definitely the one I had and was in one piece. I bought it from the English group Capability Brown, who had also been on the Charisma label. The tapes were so entangled that even I could not face the work that needed to be done to restore it to playing order! All of the 'guts' were in place and the case was in very bad condition, it was noticeable that it had been hastily repainted with more white paint on several occasions. Robert clears up several England Mellotron-related mysteries here. It seems it wasn't the ex-Genesis machine that was sawn in half, so the rumours of it having found its way to a collector in the States are probably true. The 'Halfatron' is in the possession of a UK-based musician, still awaiting refurbishment. Vinyl originals of Garden Shed are hard to come by, and when it finally gained a Japanese CD release, it was quite obviously dubbed from LP, with little attempt made to clean up the sound. Eventually it came out on a UK CD (from The Forward Organisation), from the master tapes, although the insert looks as though it's been copied from the Japanese release, from the colours (the LP is orange, erroneously, as it turns out) right down to the 'imported into Japan by...' legend on the back. Incidentally, the lyric booklet mentioned on the back of the LP never happened; paintings illustrating each track were commissioned, but spiralling costs ensured the project's failure. The lyrics are now, at last, available on the American fan website being put together at the time of writing. Garden Shed isn't one of those 'immediate' albums, but like so many records that you learn to love, the payoff is immense. All in all, one of THE best Mellotron albums ever, and a total progressive classic. Buy or die. The Last of the Jubblies is also well worth the effort, but don't expect quite the same high standard. Um... The original band played live a grand total of five times, so the chances of any date having been bootlegged are close to zero, not to mention the fact that I'm sure Robert would have given me a copy of anything that's about anyway. The 2000s version have managed around the same number of dates (sometimes with real Mellotron), so we'll have to be content with Kikimimi, overdubbed real Mellotron an' all.